Looking north on Jay Street. Construction is wrapping up at 203 Jay Street, a 33-story mixed use tower in Downtown Brooklyn from architects Woods Bagot. The 355,000-square-foot project will offer retail and commercial office space in the eight-story podium and 270 residential rental units in the tower above. Close-up of the southwest corner of the tower. 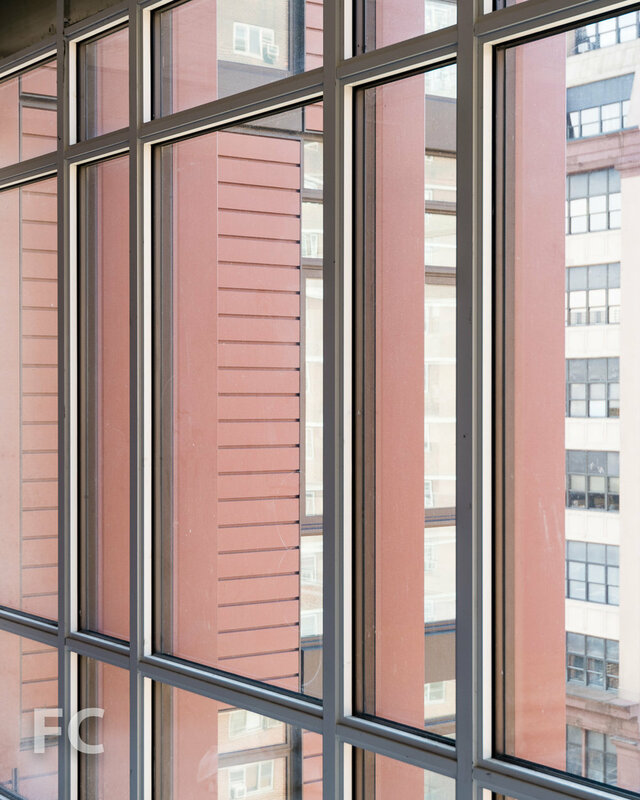 A dynamic façade of metal panel and glass window wall units indicates interior uses, with transparency increasing at living and dining rooms and wider solid panels at bedrooms and bathrooms. Southwest corner from Jay Street. 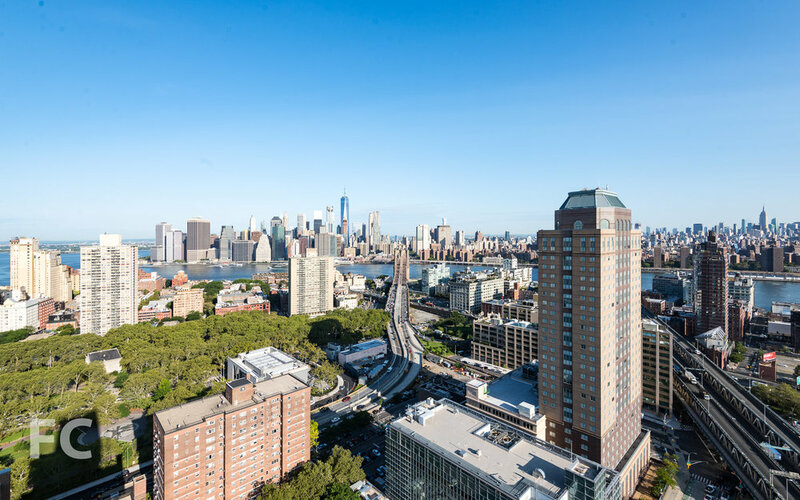 Residential amenities are provided in the cellar, the 9th floor terrace, and at the 33rd floor, where panoramic views of Brooklyn and Manhattan will be the backdrop to lounge and event space. View from the residential amenity terrace. View of Lower Manhattan and the Brooklyn Bridge from the residential amenity terrace. View of the East River from the residential amenity terrace. Window wall units awaiting installation. Southeast corner of the tower façade. View of Downtown Brooklyn from an office floor. Close-up of the office façade. Looking up at the tower façade. 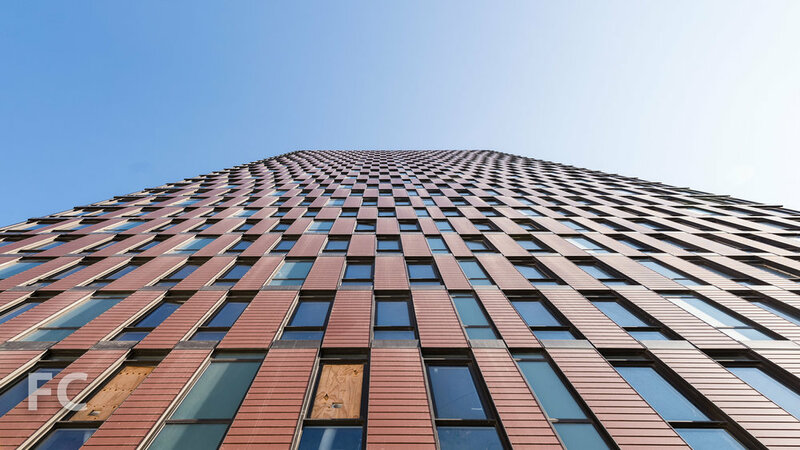 Architect: Woods Bagot; Developer: 203 Jay Street Associates, LLC; Program: Residential, Office, Retail; Location: Downtown Brooklyn, New York, NY; Completion: 2017.